Mahindra Lifespace Developers (MLDL) today announced its new �Green Army� initiative aimed at increasing awareness of sustainable living habits among children. Through this pioneering movement, the Company aims to reach 1 million citizens who it hopes will become the torchbearers of sustainable living. The pilot program will begin with schools in Mumbai and then roll out to other cities across the country, sharing with children the importance of conserving energy and water, recycling, materials and reducing waste. Social media will play an integral role to propagate this message of sustainability and widen the reach. This initiative also aligns well with the government�s Swacch Bharat Abhiyan which focuses on the basics principles of cleanliness, hygiene and conscientious living.� According to Ms. Anita Arjundas, Managing Director and CEO, Mahindra Lifespace Developers Ltd, �The Green Army initiative is rooted in our mission of transforming urban landscapes through sustainable communities. We believe that children can play a key role in shaping a cleaner planet by influencing their families to follow the principles of reduce, reuse and recycle in daily living." Mahindra Lifespace Developers Ltd., the real estate and infrastructure development business of the $16.5 billion Mahindra Group, is a leader in sustainable urban development, through the creation of residential and integrated large format developments across nine Indian cities - Mumbai, Pune, Nagpur, Gurgaon, Faridabad, Jaipur, Chennai, Hyderabad and Bangalore. The Company�s residential & commercial development footprint includes over 0.8 million sq.m. (8.3 million sqft) of completed projects and over1.0 million sq. m. (11.3 million sq. ft.) of ongoing and forthcoming projects. Mahindra Lifespaces has pioneered the concept of an integrated business city through �Mahindra World City� developments in Chennai and Jaipur. These developments cover 1862 hectares (4,600 acres) and house over 100 reputed global companies, providing an integrated environment for Life, Living and Livelihood. The Company�s �Green� homes, pan-India presence, and the development of successful integrated cities have all contributed to Mahindra Lifespaces being recognized as a developer with a pioneering spirit. Mahindra Lifespaces is the first real estate company in India to release its triple bottom-line focused Sustainability Report that is based on the Global Reporting Initiative (GRI) framework and received an A+ rating indicating the highest levels of disclosure and transparency. In 2014, Mahindra featured on the Forbes Global 2000, a comprehensive listing of the world�s largest, most powerful public companies, as measured by revenue, profit, assets and market value. The Mahindra Group also received the Financial Times �Boldness in Business� Award in the �Emerging Markets� category in 2013. Mumbai.Global Advertisers has been declared the �Advertising Agency of the Year� by the jury of prestigious The Realty Plus Realty Awards � 2014 on August 21st 2014 at the Trident Hotel, Bandra-Kurla Complex,Mumbai.The event, which was attended by all the big names in the realty sector. Global Advertisers, an outdoor media solutions giant based in Mumbai, has built a reputation for its innovative and cost-effective media strategies for some of the leading brands in the real estate sector. Clients serviced by Global in 2014 include Rajesh Lifespaces, Aristo Developers, Hubtown, Dosti Realty Ltd, Lodha Developers Pvt. Ltd., Runwal Homes Pvt. Ltd. Global owns some of the most premium billboard sites in Mumbai, including Asia's biggest hoarding in Bandra. 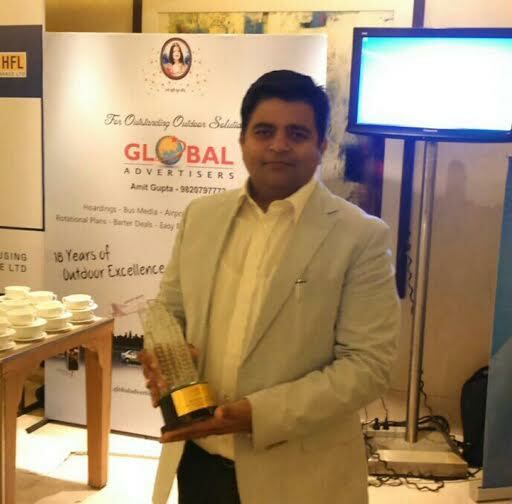 Mr. Sanjeev Gupta, Managing Director, Global Advertisers, said, that his team has a big role in getting him this honor. �Our Real Estate marketing team has worked hard and walked the extra mile to help our clients improve their brand presence, site footfalls and unit sales by offering customized outdoor media solutions that work for them. I dedicate this award to my team and my guru Mamtamai Shri Radhe Guru Maa,� said Mr.Sanjeev Gupta. Association of Bhopal Realtors (ABR) presents Seminar on Real Estate Broking on 29th May at Bhopal. Due to the rapid growth, Bhopal is among the most favoured destinations for realty development; Bhopal now got a greater concentration of real estate agents, consultants, developers, construction and investment companies. Since the realty sector is an important part of the overall development of the area, the role of realtors evidently becomes significant. Sachin Shroff, President -NAR INDIA , would be the chief guest on the occasion. While Viny Raj Modi, Convenor CREDAI INDIA would be the guest of honour and Ajay Mohgaonkar, Chairman CREDAI Madhya Pradesh would preside over the event. Pradeep Karambelkar, President , Association of Bhopal Relators says " My greatest inspiration is the vision to see the Indian real estate industry, which is the second largest contributor to the country�s GDP, an organised and professional industry and the Real Estate Brokerage profession as credible and attractive as other professions like medicine, engineering, IT etc". ABR is a member of National Association of Realtors of India (NAR India) and it is the credible voice of realtors in India. It is the single national level umbrella organization representing the interests of thousands of realtors/brokers operating all over the country. 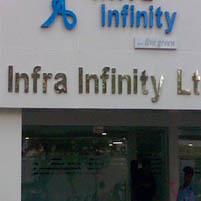 Well-known name in IIT training Vision Infinity entered into real � estate business by inaugurating plush office by Actress Amrita Rao at Maharana Pratap Nagar. City�s cross section of the Society attested the Grand Party organized on this occasion. Aakriti Aquacity �Powai� 200 Bungalows SOLD!! Aakriti Group�s Aquacity �Powai� Bungalows which are built keeping in mind unique planning, architecture, nature and beauty have already sold 200 bungalows with only 51 remaining to get acquired. Aakriti�s Aquacity �Powai� which is a spacious 4 BHK bungalows, built with uniquely designed township, the bungalows offers a great opportunity, to experience the luxury of spaces. They provide a spacious inside along with spacious outside. Aquacity �Powai� offers you a complete happy stay for your family with abundant greenery, contemporary architecture and planned water bodies. Hemant Kumar, CMD, AG8 (Aakriti Group), says, �We are so happy that we are providing a great livelihood to our people and people are loving our offerings. We are pleased to say that we have already sold 200 bungalows and only 51 bungalows are remaining. Aquacity �Powai� offers spacious bungalows where happiness resides with in." Each Bungalow at Aakriti Aquacity �Powai� offers open spaces on its 3 sides, spacious bedrooms, abundant sunlight during the day, well ventilated rooms, adequate parking space for two cars and many more. It is the perfect bungalow that every body dreams of with many township features like Shopping Center, Jogging track, club house with indoor game facilities, swimming pool, library, primary school, hospital etc. that provides you total comfort at the campus and fills your life with bundles of happiness. 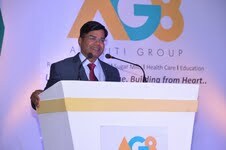 The AG8 Group is a multi- Faceted group with diverse business interest in the green field areas of Real Estate with residential and Business Projects, Sugar Mills and Hospitality, while the group has recently ventured into health care and education with future plan to venture into Power sector. Ever since its inception, AG8 has believed that its success comes from its people. In every activity, AG8 has always focused on creating a better experience in every aspect of life. Being a leader in to Real Estate, AG8 is all set to go global. AG8 has contracted with world's well known architect, Hafeez Contractor to shape up its real estate projects parallel to international standards. NAR INDIA, the credible voice of realtors in India, is organizing the 5th Annual Convention on 6th & 7th July 2013, at Taj Palace Hotel New Delhi. 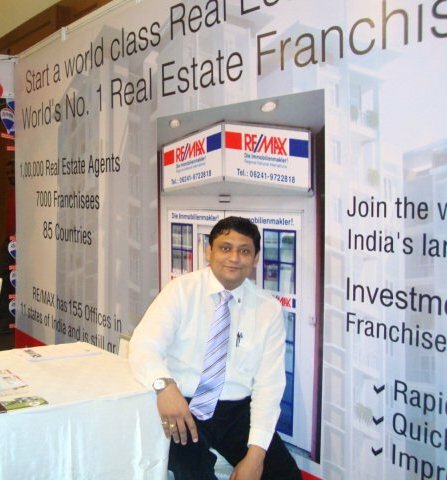 It is the India�s biggest realtor meet. Mr. Pradeep Karambelkar, President, Association of Bhopal realtors, Mr. Brijesh Rawat, Secretary, ABR and other 10 members of ABR will be representing the state on this largest platform. People interested in participating or knowing more about the convention can get in touch with Mr. Pradeep Karambelkar. The 5th Annual Convention will provide a base for sharing the knowledge, expertise, experiences of realtors from all over the country. Understanding the emerging customer issues and service delivery considerations will be an added advantage. Thought provoking presentations, panel discussions, case studies and the top leaders of the industry addressing to the issues, can be helpful in the better growth of the real estate sector in the country. 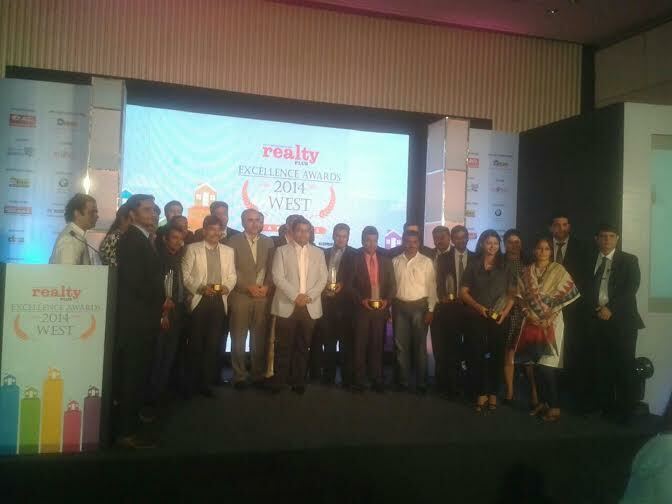 In short this convention is providing the unique opportunity of networking, motivation, entertainment and education through the best performers of the real estate industry in various fields. Not only the realtors, brokers or the property dealers would be gainful from this convention, but Market Analysts, Legal Service Providers, Tax Consultants, Architects and Town Planners, Investors, Venture Capitalists, Financial Advisors, Officials of Housing Finance Companies, Real estate listing portals, IT Service providers & Allied industry professionals will also be a part of this largest convention to increase and share their knowledge. Mr. Pradeep Karambelkar, President, Association of Bhopal realtors, says, �NAR INDIA�s 5th Annual Convention is providing a biggest platform to the realtors from all over India to increase their networking from the best in the industry. It is the tremendous opportunity for the persons seeking new business & investments. I would like to request all the members of Association of Bhopal realtors (ABR) & the non members to attend this event, and be updated on the new concerns & regulations in our sector. The National Association of Realtors � India (NAR-INDIA) was established 5 years ago as the apex national level organization of realtors (real estate brokers). It is an organization with the common interest of the real estate brokers at the top of the agenda. Good governance, ethics, best practices and customer satisfaction are the four founding pillars on which the organization stands. With 24 member associations across the country, encompassing nearly 1,700 companies with a combined strength of 30,000 brokers, NAR-INDIA has today emerged as the voice of realtors in India and one of the largest trade associations in the country. With partnerships at the domestic as well as the international level, particularly with NAR Global of USA � a 105 year old organization with over 1.1 million members, NAR-INDIA is poised to grow from strength to strength in the times to come. The previous conventions were held at Pune (2009), Chennai (2010), Hyderabad (2011) & Mumbai (2012) and were the big hits. Now the 5th National Convention puts the customer interests and credible service at the focal point of debate and discussion in order to work the way forward for the real estate industry. Budget looks positive for the real estate sector at large. Finance Minister�s decision to grant an additional tax deduction of interest of up to Rs.1 lakh for a person taking the home loan up to Rs.25 lakh for the first time during the financial year 2013-14. The move will help promoting the Real Estate sector and will also widen employment opportunities for many in the construction sector. This will boost the housing and will also be beneficial for the real estate sector. Though the Budget is not up to the expectation but looking at the environment and with all the limitation, Finance Minister has made good effort to strike the balance". Report by India Education bureau, Mumbai: AG8 ( Aakriti Group) , Central India�s leading Real Estate giant today announces the first winner of AG8 Audi A4 car lucky draw scheme in a ceremony held at Jehan Numa Palace, Bhopal. Mr Yashvardhan Mishra is the winner of the Audi A4. Mr. Swayam Soni, Director, AG8 (Aakriti Group), presented the key to the winner today. Ashoka Housing , a leading international organization in association with Credai, Bhopal held a Symposium on affordable Housing with the objective to fulfil the demand for affordable houses for the urban poor. On this occasion Mr. Sunish Jauhri, Senior Consultant, Ashoka Housing , Mr. Manoj Kumar Sinha, HVC Entrepreneur, Mr. Rajendra Joshi of DBS Communities, Ahemdad have given presentations about the need for affordable housing . Mr. Manoj Singh Meek, Vice-President, CREDAI was the Chief guest. 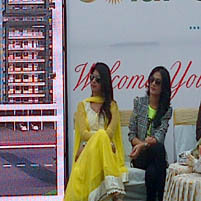 On this occasion city's leading builders, NGO's were also present. While talking to metromirror.com Mr. Sunish Jauhri, of Ashoka Housing said that Bhopal has big potential for the affordable Housing as the government alone can't fulfill the housing needs of the urban poor. Indus colonizers have almost completed the first phase of the duplex bunglows, near Chuna Bhatti.Under this project almost 200 bungalows have been constructed. Indus Colonizers have started the construction of Phase - II, under which around 100 bunglows have to be construction. The founder of Indus empire, Sanjeev Kumar Mehta and Dharam Pal Singh told in apr�s release that other than Indus Empire the construction of Indus Umang is in last phase and the booking of Indus Muskan -2 is on the track.. Having one's own home, that too in a metrocity, is like a dream for a common middle-class man; the dream can not be realized only by dreaming it for it demands for a substantial amount of money which is often not less than a tough task for a middle-class family. India is starkly short on housing supply to its people. Estimates put this figure to about 29 million(2.6crore) housing units. Madhya Pradesh itself is short on this by more than a million (10lakh) housing units. A whooping number indeed. Bhopal is primarily an industrial city where a large section of the population works in different industrial hubs, majority of whom work as low wage labors. The urban population of the city stands at 80% of the entire district population. With total population about 23 lakh(as per the of official census 2011) as against the state population of about 7 crore, the city has about 3.5% share of the entire state population. Therefore, with 3.5% share of the state population and 80% urban population , we can assume that out of the need of 10lakhs of housing units at the state level, the requirement in Bhopal itself should be about more than 28 thousand units in the affordable housing sector. At a city level, this too is a great number! 88per cent of this shortage pertains to houses for Economically Weaker Section (EWS) . At an estimated $10,00(Rs 5-6 lakh) per unit this is a potential $250- billion dollar (approximately INR 1300000 crore ) market opportunity in India. Imagine what boom can happen in the real estate industrial if this potential market is unlocked! At the state level it would translate into a market size of about 52000crore whereas at the Bhopal city level a market size of about 1450crore. .
Public resources alone cannot meet this demand, and therefore there is need for private sector participation and multi-stakeholder approach. What is Ashoka's Housing for All (HFA) program approach to unlock the affordable housing sector ? Ashoka begins with a firm belief that there is massive opportunity for developers to do a profitable and healthy business in affordable housing sector in India. This segment includes petty shop owners, rickshaw and cab drivers, self-employed like plumbers and electricians construction workers, contract workers in industries, vegetable and fruit vendors, housemaids, and so on. A large percentage of them wants to buy a house, and can pay for it. Ashoka works closely with the retail housing finance companies, which offer home loans to this segment. Ashoka's Housing for All(HFA) program facilitates identifying and preparing the client through the Citizen Sector Organizations (CSOs), getting them home loans and finally selling houses on market prices making reasonable profits. Ashoka is an international social enterprise that works closely with the citizen sector organizations for the interest of communities they work with. Ashoka is a 30+year-old organization, present in 70+ countries. Ashoka is headquartered in Washington DC.US .Its India office is in Banglore. Funded by a number of social foundations. Ashoka is committed to building market �based solutions to some of the large social problems. Ashoka's Housing for All program is operational in Colombia. Brazil and India.